Many conflicts around the world today are between the central government of a given state and ethnic groups within that state. The ethnic groups demand independence or autonomous rule, while the central government refuses to concede to such demand. How should the international community treat this kind of ethnic conflict? That is, by which standard should the central government’s position and a particular ethnic group’s demand for independence or autonomy be evaluated? How absolute is the central government’s claim to preserve territorial integrity? Moreover, do ethnic groups inherently have the right to claim independence or self-rule to begin with? There are no clear-cut answers to these questions. However, discussions about self-determination and secession have become active in recent years, especially in view of the many cases of resolving ethnic conflicts that erupted after the Cold War that have impacted on the way to think about self-determination. This paper attempts to offer a way to understand the claims of ethnic groups in the context of recent developments. Self-determination is act of a particular people or an ethnic group to exercise its sovereign right to become an independent state and to decide on the form of state (including the system of government). The former, regarding independence, is called external self-determination and the latter regarding choices of the form of the state system internal self-determination. The genesis of principle of self-determination as a concept in international relations can be traced to World War I; more precisely the “Fourteen Points” made by US President Woodrow Wilson in his speech to Congress in 1918. 1 Wilson had in mind to allow for independence to the separate nations in the Balkans who had been victims of the politics of balance of power that dominated European international relations. However, the application of the principle of self-determination was not consistent. It was only applied to those nations within the former Austro-Hungary and Ottoman empires that were defeated in the war, and the Asian and African colonies of the victorious powers were left as colonies. However, there are two important points we need to recognize. One is the idea of international guarantee of self-determination. The principle of self-determination was conceived as a notion of global governance to guarantee those nations who did not have the power themselves to become independent. The other is the nature of self-determination as a social contract. Wilson advocated that the self-determination of the Balkan nations should be carried out along the lines respecting the historically formed “allegiance and nationality”. The underlying view was that a nation should be defined less as a naturally or objectively defined ‘characteristics’ as a nation than as a body with the will to independence shaped through the course of history. After World War II, the notion of global governance to guarantee self-determination evolved further. Article 3 of the UN’s “Declaration on the Granting of Independence to Colonial Countries and Peoples” of 1960 stated: “Inadequacy of political, economic, social or educational preparedness should never serve as a pretext for delaying independence”. This meant that that conditions for the formation of a state need not be all met in order for independence to be recognized. With the two international covenants on human rights (International Covenant on Civil and Political Rights and International Covenant on Economic, Social and Cultural Rights) of 1966 that declared in Article 1 that, “All peoples have the right of self-determination”, the notion of self-determination developed in to a right. However, with the definition of that ‘peoples’ (nation) as yet undecided it also meant that every conceivable nation’s demand for independence had to be recognized, however small the size. In order to prevent the proliferation of demands for cessation, Article 6 of the “Declaration on the Granting of Independence to Colonial Countries and Peoples” inserted the caveat that, “Any attempt aimed at the partial or total disruption of the national unity and territorial integrity of a country is incompatible with the purposes and principles of the Charter of the United Nations”. In view of international relations at the time, this had the objective of discouraging former colonial masters (the metropolitan states) from aiding neo-colonialist conspiracy for secession. 2 Together with principles of non-interference between sovereign states in each other’s internal affairs and respect for (former) colonial borders, 3 this article gave certain grounding for not granting the right to self-determination to groups seeking to break away within already independent states. Moreover, during the Cold War the internal coherence within the ideological camp was deemed of utmost importance, suppressing any move that would disrupt it. In such circumstance ethnic conflicts became protracted without any prospect for resolution. Such was the way with which self-determination became limited to decolonizing states after World War II and paths to independence became foreclosed to groups within these newly independent states. As a result the definition of the body seeking self-determination remained unarticulated, and leaving it to debates on “secession” in the post-Cold War era. Secession is an act of breaking away from a state and creating another one. Therefore, it could be said that secession is a variation of self-determination, and that the right to secede is part of the right to self-determination. Although discussions about the right to secede are quite active, the right itself has yet to be established as international law. The level of achievement internal self-determination simply put means how much a country is democratic and that its politics reflects the view of ethnic minorities. The more undemocratic a country is the more likely the right to secession will be recognized in international law. Many of those who argue for the conditional recognition of the right to secession seek their basis in the UN’s 1970 “Declaration of Friendly Relations”, where it states: “Nothing in the foregoing paragraphs shall be construed as authorizing or encouraging any action which would dismember or impair, totally or in part, the territorial integrity or political unity of sovereign and independent States conducting themselves in compliance with the principle of equal rights and self-determination of peoples as described above and thus possessed of a government representing the whole people belonging to the territory without distinction as to race, creed or colour”. The flipside of this coin means the territorial integrity of states that act otherwise shall not be guaranteed. However, in reality, actual cases where the right to secession was advocated as right to self-determination have been denied. For example, the case between Swedish-speaking population in Ålands (group of islands belonging to Finland) and Finland, where the people demanded to secede from Finland and belong to Sweden, was not successful. The mediation plan put forward by the League of Nations in 1921 recognized Finland’s claim to the Ålands, while it recommended demilitarization and greater autonomy for the people, such as the use of Swedish. 6 Finland and Sweden accepted this plan and the residents today apparently are satisfied with their ‘special autonomy’ granted under Finnish rule. In the case of Quebec, Canada’s Supreme Court advised in 1998 that if the group is in a situation where the government is rendered useless in the pursuit of the group’s political, economic, social and cultural advancement—that is when the internal self-determination is denied—then external self-determination (secession or independence) will be recognized. 7 That is, the fact that a majority supports independence in that particular region alone does not constitute the basis for secession. The two referenda in Quebec held in 1980 and 1995 did not support independence, but even if either of them did that would not be enough. We may now move on to the main subject. Several cases of self-determination were resolved after the Cold War. Here we look at the examples of Northern Ireland, East Timor, and Kosovo to examine self-determination in the contemporary context. In Northern Ireland, the Irish Catholic residents who wished to belong to the Republic of Ireland and the Protestant residents of English and Scottish decent who wished to remain part of the United Kingdom were in conflict. 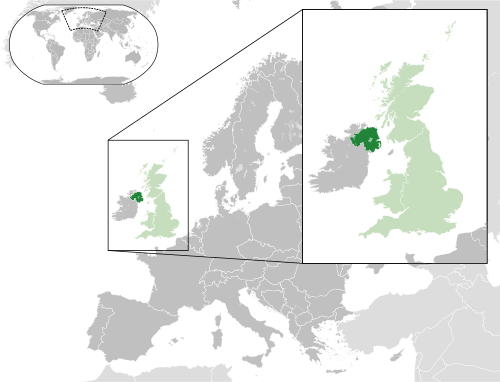 In the Belfast Agreement (also known as the Good Friday Agreement) that was reached in 1998 under Tony Blair’s government, it was decided that the majority of the people in Northern Ireland should decide to which country it would belong, and that for the time being it will remain part of the United Kingdom as the majority supported it. However, should the majority decide later that it wished to belong to the Republic of Ireland both the British and the Irish governments were obliged to implement that choice. Moreover, the people of Northern Ireland had the right “to identify themselves and be accepted as Irish or British, or both” and that right shall not be affected by the status of Northern Ireland. This agreement identifies the people in the entire island of Ireland as the group to exercise the right of self-determination, and does not define the body as residents of Northern Ireland or even British citizens living in Northern Ireland. What does this mean? In reality if the people of Northern Ireland decide its status both the British and Irish governments are obliged to comply; this means that should the choice be for a united Ireland there is no need to ask the will of people of the Republic of Ireland. Ireland is obliged to accept it. However, the right to self-determination is not limited to deciding territorial status. It extends to political, economic, social and cultural realms. In such a case the body with the right to self-determination would be the ‘people of the island of Ireland’. This article also reflects Britain’s own understanding of its history of colonial rule over Ireland. That is, they understand that self-determination is primarily a matter of the people living on the island of Ireland, and that British migrants have become a part of that people. (This is to imply that the Irish people on the island would not be separated, but that British decendants in Northern Ireland could be separated from the British in the matter of self-determination.) Moreover, even if Northern Ireland becomes part of the Republic of Ireland the Protestant Britons are still allowed to maintain British citizenship, which means there is no issue with the individual forced to choose identity. 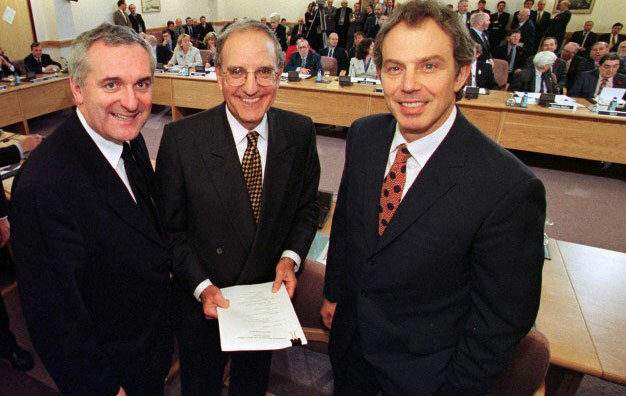 The idea that brought about the resolution to question of Northern Ireland could be said to have been a concept of self-determination composed of three layers. At the highest layer there was the choice of the people of the island of Ireland, and then the people of Northern Ireland, and at the last layer the individual choice of identity. It is an extremely flexible concept of self-determination that also relates to today’s understanding of identity as multi-layered. The conflict in East Timor is not an ethnic conflict that erupted after the Cold War. It is a classical issue of colonial independence and self-determination. East Timor was a Portuguese colony when, in 1975, was invaded by Indonesia in the course becoming independent. East Timor was one of the Non-Self-Governing Territories under the UN Special Committee on Decolonization, and the people of East Timor had the right to self-determination and independence under the principle of uti possidetis. Therefore, at issue legally was the self-determination of the people of East Timor that failed to materialize in the wake of Indonesian invasion. In the end the UN held a referendum in 1999, where all East Timorese voted; 78.5 percent of the eligible voters supported independence and East Timor finally achieved it. Indonesia, in fact, never denied the people of East Timor’s right to self-determination. The year after invasion Indonesia declared that the representatives of the residents of East Timor had unanimously agreed to be part of Indonesia and, maintained that they had exercised the right to self-determination. On the other had, the international community long refused to recognize the decision made by the so-called ‘representatives’, who were selected by Indonesia and not elected by the East Timorese themselves. The referendum was a result of the UN adhering to the principle of decolonization for over a period of 24 years. However, the fact that it took 24 years to resolve the conflict also underlines the fact that principle of self-determination was not implemented immediately. Indonesia’s strategic importance during the Cold War factored in this delay, because after the Vietnam War ended Indonesia under the Suharto regime was an important friendly nation to the Western camp and the country sustained the Western economy with its rich natural resources and a huge market. When Indonesia—driven by the logic of the Cold War and a concept of national defence that covered the entire archipelago region (so-called Archipelagic Concept) —invaded East Timor, the Western countries led by the United States accepted this action. The West initially expected that a series of fait accompli would effectively obscure the issue of East Timor’s right to self-determination. However, as Indonesia struggled with the persistent resistance of the East Timorese and international opinion sympathetic toward East Timor began to rise, the West began to change its position. It was problematic to the West for Indonesia’s international status to suffer; Australia in particular was suffering a difficult domestic situation that was split between those supporting Indonesia and those supporting East Timor. Australia’s loss to Portugal (that was supporting East Timor) in the elections for a non-permanent seat on the UN Security Council was decisive for the country and it became necessary to reappraise the position to continue supporting Indonesia. The then Australian Prime Minister John Howard sent a letter to Suharto’s successor, President B.J. Habibie, at the end of 1998, suggesting that after a period of autonomy, “some sort of action of self-determination” should be taken. This letter prompted Habibie to decide to accept the plan to hold a referendum. The states that tilted toward accepting East Timor’s self-determination were more concerned with the unsustainability of the status quo than the principle of self-determination per se. The failure of Indonesia’s integration policy was so clear by the 1990s, its human rights abuse was on the agenda of the UN human rights committee every year, and two East Timorese received the Nobel Peace Prize. When Suharto left office in 1998 the atmosphere surrounding the new Habibie administration regarding the East Timor issue was ‘fatigue’. In other words, East Timor’s self-determination came about as a ‘remedy’. In this sense, East Timor set a precedent for cases of ‘remedial secession’ that would follow, such as in Kosovo and South Sudan. 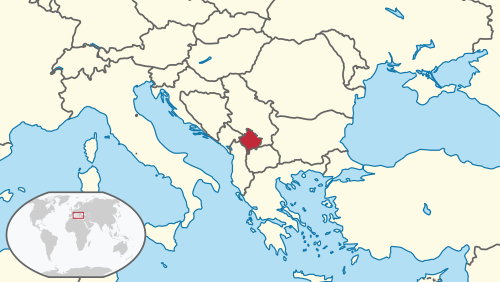 Kosovo was forcefully separated from Serbia after the NATO bombing of Serbia, and placed under international supervision. The international community in vain wished to see the reintegration of Kosovo with Serbia. The special envoy of the UN Secretary- General, Martti Ahtisaari, advised in 2007 for Kosovo’s independence. In his report (S/2007/168), he stated the reintegration of Kosovo with Serbia was “unviable” because: “The establishment of the United Nations Mission in Kosovo… has created a situation in which Serbia has not exercised any governing authority over Kosovo. This is a reality one cannot deny; it is irreversible”, and that “Belgrade could not regain its authority without provoking violent opposition [from the overwhelming majority of the people of Kosovo]”. On 17 February 2008, Kosovo declared independence. The unilateral declaration of independence by Kosovo angered Serbia and Russia, and upon their demand the UN General Assembly sought a cautionary advice from the International Court of Justice (ICJ). However, the ICJ’s response in July 2010 was that there is no international law to prohibit declaration of independence and, therefore, there was no reason to deem Kosovo’s declaration as violation of international law. As of September 2013, 102 countries, including Japan, recognize Kosovo. Kosovo’s independence activated discussions on self-determination because it was a case without the right to self-determination. The international community accepted Kosovo’s independence, not because Kosovars constituted a nation or because Kosovo was ready to become an independent state. The reality of the impossibility of existing with Serbia was the main consideration, and recognition of nationhood or preparedness to become a state became secondary. Even Serbia’s territorial integrity was not prioritized. In the meantime, Russia in retaliatory mood raced to recognize South Ossetia and Abkhazia as ‘sovereign states’ six months after Kosovo’s declaration of independence. Russia’s opposition to Kosovar independence was based on the reasoning that secession was possible only with the consent of the ‘mother state’; however, for South Ossetia and Abkhazia there was no consent of Georgia, their ‘mother state’. Nonetheless, one should note that the number of countries that recognize Kosovo and that of South Ossetia and Abkhazia are vastly different; only five countries have recognized the latter two. Even if Russia may have fewer friendly nations this number is very low. Why is this so? In view of the discussions so far the two countries’ right to secession can only be recognized as a case of ‘remedial secession’. However, it remains to be established that the oppression in South Ossetia and Abkhazia is dire enough that secession from George is the only option for the realization of the will of the people. Rather, the recognition of the independence of the two ‘areas’ is more understood as biased because of Russia’s retaliatory measure; most states are still unable to decide on the necessity of the secession. Let us return to the original question: who can exercise the right to self-determination? The international community does not recognize the right to self-determination of the various ethnic groups in Asian countries because they are not colonial subjects. However, it is now quite clear that the post-World War II rule that is applied here, that is unless you are under colonial subjugation you have no right to self-determination, was not a universally applicable principle to begin with. What would, then, be a more universal principle? The essence of colonial independence—or justice of escaping foreign rule—may be in the establishment of the legitimacy to rule. In order to resolve the conflicts in Asia there is need to revisit this point and build a framework that recovers the legitimacy to rule for the ethnic groups within the state. This may involve recognizing a near-independence form of autonomous rule conceded to Northern Ireland. Needless to say, however, the integrity of external and internal self-determinations must, of course, be guaranteed here also. The legitimacy of rule must be obtained through the establishment of modern values—such as a democratic political process and respect for human rights—within a given ethnic group; only with the legitimacy to rule can self-determination in the original meaning be attained. 4 Comments on "Ethnic Groups’ Right to Independence: Self-determination, Secession and the Post-Cold War International Relations"
Very good website you have here but I was curious about if you knew of any community forums that cover the same topics discussed in this article? Thanks very much for your comment. I’m afraid we have no idea about the type of community that you asked about. Please let us know if you come across anything interesting.